Ann has been on the St. Richard Parish staff since Sept. 2005 when she was brought on board to start up the Life Teen program. 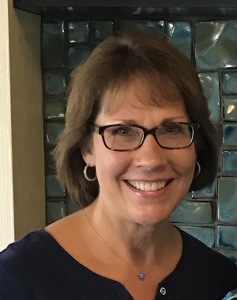 As Pastoral Associate, she currently oversees our Parish School of Religion (PSR), sacramental prep for Baptism, 1st Reconciliation/1st Communion, and Confirmation and is our stewardship and welcome ministries coordinator. Ann is one of three Stephen Leaders that lead our Stephen Ministry in our parish. A lifelong Catholic, Ann and her husband Steve have been members of St. Richard Parish since moving to the area in July 1997. They have four children – Ashley, Emily, Joey, and Daniel.